Color: Light to medium brown when newly installed; has a significant color change and turns to brown/dark brown over time. Grain: Interlocked medium to coarse texture. 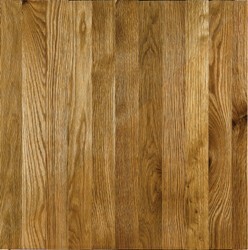 Variations Within Species and Grades: Dramatic difference between quartersawn and flatsawn products.